Announcing the first Citation Latitude available for charter in Europe. The Cessna Citation Latitude is a 9-passenger mid-size jet. It is the first business jet to combine a wide, flat-floor, stand-up cabin with a midsize price. Derived from Cessna’s Model 680 Sovereign, it was type certified by the US Federal Aviation Administration in June 2015. French charter operator and aircraft management company, iXAir Business Jets, announces their 2017 Latitude is now available for charter. The full 7-aircraft fleet of iXAir is available ONLY in the FlightList PRO multi-search platform along with all 16,631 charter aircraft worldwide. Get your free 30-day trial here. The Citation Latitude is the largest aircraft in its category. Its stand up cabin and large windows provide passengers with a spacious and comfortable feel. Under French registration, this aircraft is commercially operated by iXAir and has already had great success with numerous flights to Italy, Spain, Montenegro, Greece and Turkey. The Latitude joins the iXAir existing charter fleet of 6 aircraft including Citation CJ1, two CJ2+, a CJ3, CJ4, and a Global Express XRS. iXAir’s Citation Latitude. 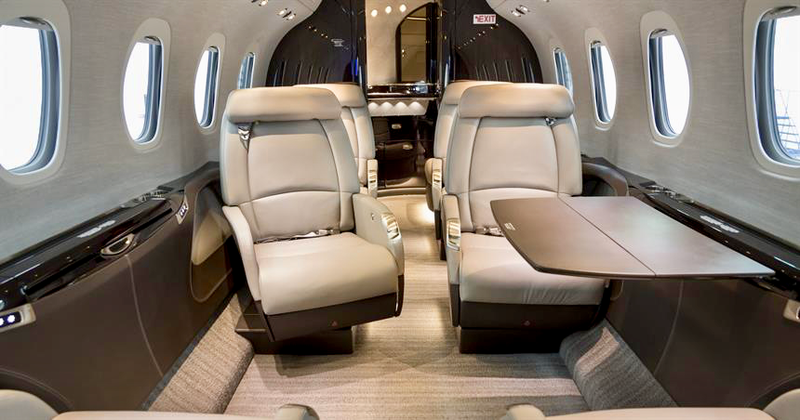 The 9-passenger Latitude is the only midsize jet with spacious flat floor. All 3,008 European charter aircraft and 699 charter operators in Europe are available ONLY in the FlightList PRO multi-search platform which includes all 16,631 charter aircraft and 3,419 charter operators worldwide. FlightList PRO is used by the most successful and experienced brokers and travel professionals in the industry; 80% of users have arranged charters more than 10 years, 25% more than 20 years. This entry was posted in Operator Updates, Private Aviation Industry News and tagged Citation, Europe, Jet Charter Operator on October 16, 2017 by FlightList PRO. VistaJet officially launched VistaJet Direct, its new digital membership offering priority access to one-way and empty-leg flights at preferential rates. For a $10,000 annual fee, VistaJet Direct members can request bookings on all available VistaJet aircraft before they are offered to the charter market, according to a release from the company. Bookings via the VistaJet Direct smartphone app are guaranteed and come with all of the company’s typical services. Through the app’s geo-location feature, members can receive a push notification when a flight near them or from their favorite cities is available. According to VistaJet, the app offers real-time fixed pricing and the entire booking process can be completed “in minutes.” Members can also request flights through the app, as well as order catering and arrange other ground services. The FlightList PRO multi-search platform which includes all 16,631 charter aircraft and 3,419 charter operators worldwide. FlightList PRO is used by the most successful and experienced brokers and travel professionals in the industry; 80% of those using FlightList PRO have been arranging charters more than 10 years, and a full 1/4 – more than 20 years. Currently 30-day free trials are available. This entry was posted in Operator Updates, Private Aviation Industry News, Uncategorized and tagged Air Charter News, Europe, Jet Charter Operator on October 2, 2017 by FlightList PRO. Air-taxi firm Wijet is acquiring very light jet (VLJ) charter operator Blink, forming “the world’s largest” VLJ air-taxi provider, the european companies announced. The transaction will result in a new company, Wijet Group, with a combined fleet of 15 Cessna Citation Mustangs. Blink will join Wijet on the real-time european booking platform OpenJet. The Wijet and Blink fleets and operator info is available in FlightList PRO. Wijet Group, the holding company for Blink UK and Wijet France, will have joint CEOs: Corentin Denoeud and Cameron Ogden. Combined, it will have €18 million in revenues this year, and this is forecast to rise to €28 million, with 11,000 flights and 16,000 passengers, next year. Blink and Wijet have operations in London, Paris and northern Italy. “By combining the two companies, the joint customer base will provide strong demand across western Europe,” the companies said. In addition, Blink’s established maintenance and operations capability will remain in the UK and Italy, while Wijet will continue to service its client base from Paris, along with key head office functions. Initially, the aircraft will continue to operate under the Blink and Wijet colors before “gradually merging” into a new combined brand. This entry was posted in Private Aviation Industry News and tagged Air Charter News, Europe, Jet Charter Operator on September 29, 2016 by FlightList PRO. U.S., European and Asian based charter operator VistaJet experienced a more than 21-percent increase in global flight traffic and passenger growth of more than 23 percent in 2015, which the company said was its strongest year to-date. The company’s fastest-growing market was the U.S., with flights to the U.S. up 135 percent and within the U.S. up 165 percent. The VistaJet fleet, which is entirely owned by VistaJet, will reach 60 Bombardier Challenger and Global jets by March 10. VistaJet operates 5 Global 5000’s and 3 Challenger 350’s based across the U.S. available ONLY in FlightList PRO. Last year, VistaJet began service within China in partnership with Apex Air, which operates a Challenger 850 for VistaJet charters. Flights to China climbed 25 percent year-over-year; flights to Asia were up 62 percent and the number of passengers climbed 57 percent. In Africa, VistaJet saw growth of flight traffic of 15 percent; the number for the Middle East was 58 percent. Europe also saw growth, with the number of flights up 13 percent and passengers traveling into Europe up 17 percent. This entry was posted in Operator Updates, Private Aviation Industry News and tagged Chicago, Europe, Jet Charter Operator, Los Angeles, New York, UAE, UK on March 9, 2016 by FlightList PRO. Etihad Airways has announced a new partnership with private jet charter broker Victor, to complement and promote its exclusive The Residence and First Apartment cabins, both available on the airline’s Airbus A380 fleet. The partnership also allows customers the ultimate convenience of chartering a seamless private aircraft connection to or from their international A380 flights. Read full article with information and comments from Victor as well as Etihad Airways, online Albawaba Business. This entry was posted in Charter Broker Updates, Operator Updates and tagged Air Charter Broker, Europe, Jet Charter Operator on December 11, 2015 by FlightList PRO. Seen by many as the ultimate accolade for companies in the air charter industry, the winners of the BACA Excellence Awards are chosen by the membership of BACA, via a vote from a shortlist of finalists, also decided by the members. On the 14th October over 380 executives from the air charter industry gathered at London’s Guildhall for the Baltic Air Charter Association’s (BACA) annual awards ceremony. This entry was posted in Private Aviation Industry News and tagged Air Charter News, Europe on October 22, 2015 by FlightList PRO. Online charter booking engine Stratajet is set to roll out its service to private aviation consumers on September 28. The UK-based company, which claims to offer the only real-time online booking engine for charter flights, has established a database of up to 500 available aircraft for which its software will generate live pricing information. In a project called Operation Long Reach, Stratajet spent April through August visiting 50 charter operators and FBOs in 30 cities across 14 European countries to promote its technology. The main aim was to persuade operators to link their operations software with the Stratajet system and so make aircraft available for direct booking by customers. Participating operators are eligible to use the company’s Stratafleet software, which uses the Stratajet search engine to generate flight quotes and more efficiently sell their available capacity. Its also offers the StrataFBO software to allow FBOs to interface with the main website. Stratajet is now setting up meetings with operators in the U.S., Middle East and Russia to expand its database of available aircraft. The company also has just appointed David Lee as its chief financial officer. Lee has more than a decade of experience in developing Internet businesses and was recently named by the Institute of Chartered Accountants as Finance Director of the Year. The Stratajet team includes (left to right): Olivia Scarlett, head of marketing, Mike Gadd, head of operator and FBO relations, Cecilie Øyäs, co-pilot and operator and FBO liaison and Jonny Nicol, CEO. Stratajet has been in development for the past four years while Nicol and his team refined the algorithm that he says delivers the charter industry’s only 100-percent accurate, real-time charter booking system for consumers. Essentially, the system is intended to calculate the true cost of a so-called “partial empty leg” by working out the net difference in cost of the requested new trip and any empty leg involved. “This means that the consumer pays less and the operator makes a greater profit margin,” Nicol told AIN. Stratajet employs a research team to ensure that the system includes up-to-date information on all relevant costs, such as airport landing and parking fees. Customers pay a 5 percent commission on the price of flights booked either online or by phone. This entry was posted in Charter Broker Updates, Private Aviation Industry News and tagged Air Charter News, Europe on September 17, 2015 by FlightList PRO. Charter Operator Prime Jet announced yesterday it is now offering point to point pricing with its 16 passenger G-V, with international and Domestic Wi-Fi. The 2000 G-V is floating between South Florida, New York, Southern California and Europe, available for reduced one-way pricing. 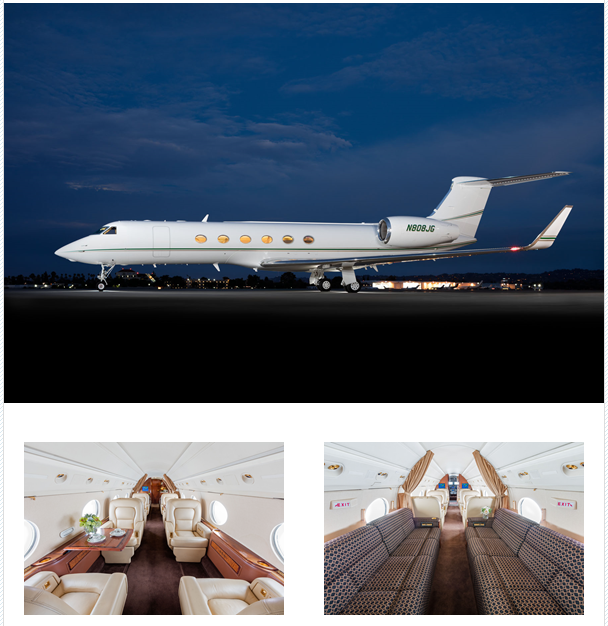 This is the only Gulfstream V available for point to point pricing, and joins the company’s G-IV in point-to-point pricing in the U.S. The full array of 13 floating fleet operators and 208 aircraft is available in the FlightList PRO Floating Fleet section. Prime Jet operates 9 heavy jet Gulfstreams for charter. This entry was posted in Operator Updates, Private Aviation Industry News and tagged Europe, Florida, Gulfstream, Jet Charter Operator, Los Angeles, New York on August 11, 2015 by FlightList PRO. This week during the Paris Air Show Piaggio Aerospace signed two new contracts for its new generation Avanti Evo twin turboprop. Both are in the air charter business. The new Avanti Evo seats up to 9 passengers in a cabin comparable with a midsize jet. Improvements include a 402 kt top cruise speed, much greater range, a quieter cabin than the Avanti and sea level cabin pressure up to 24,000 feet. Zenith Aviation, based at London Biggin Hill Airport signed for an Avanti Evo and options for seven more. Zenith operates two Lear 45’s for charter, with a Citation XLS on the way. 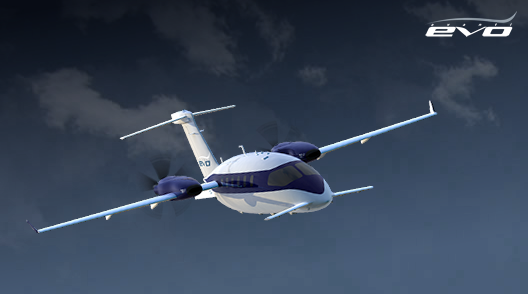 Rozmey Air, a new company this year with charter operations in Malaysia signed for an Avanti Evo. The aircraft is planned to be based at Sultan Abdul Halim Airport in Alor Setar. This entry was posted in Operator Updates, Private Aviation Industry News and tagged Air Charter News, Europe on June 20, 2015 by FlightList PRO. 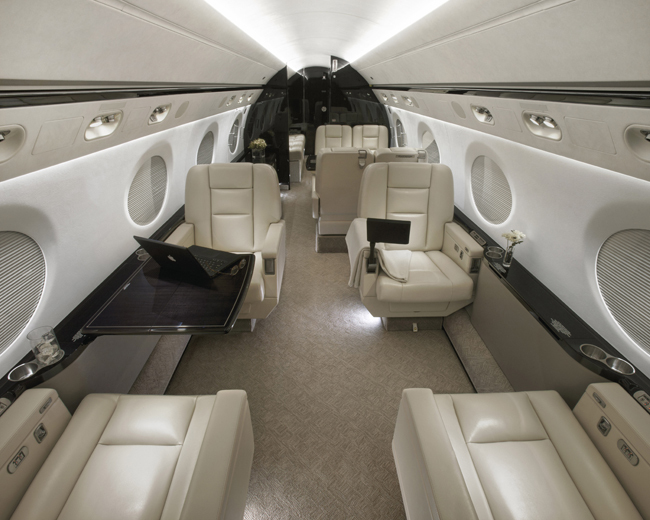 Gulfstream 550 changes operators in U.K. Operator SaxonAir Charter LTD at Stansted, UK, has taken on management and charter of the 2012 Gulfstream 550, G-MRLX. Previously with Gama Aviation LTD, it began operation under SaxonAir in late May, and is the only G550 based at Stansted. With it’s 6,000 mile range it can fly nonstop to Los Angeles or Hong Kong. The ultra long range jet features Wi-Fi on board, individual passenger entertainment screens and seats 16 passengers with three cabin seating areas. Three Gulfstream 550’s are available for charter in the UK, this one at EGSS Stansted and two at EGLF Farnborough. SaxonAir Charter now operates a total of 9 aircraft in the wide variety categories of turboprop, very light, light and midsize jets, long range jet and helicopter. The SaxonAir Charter full fleet is available only in FlightList PRO. This entry was posted in Operator Updates, Private Aviation Industry News and tagged Air Charter News, Europe, Jet Charter Operator, UK on June 4, 2015 by Rick Colson. Aircraft charter brokerage Air Charter Service has announced the opening of its seventh European operation, in Geneva, Switzerland. The Swiss office is ACS’s 19th global office, with two more planned in the coming nine months. This entry was posted in Charter Broker Updates, Private Aviation Industry News and tagged Air Charter Broker, Air Charter News, Europe on May 29, 2015 by Rick Colson. Albinati Aeronautics continues to expand its charter fleet of large cabin business jets by adding two brand new Bombardier Global 6000s and a Bombardier Global Express. Albinati Aeronautics’ charter fleet is based at Geneva and Malta, and now counts four Global 6000s, a Global XRS, a Global Express, a Global 5000, a recently fully refurbished Challenger 604 and a Citation CJ4. The full charter fleet is ONLY available in FlightList PRO. This entry was posted in Operator Updates and tagged Charter Aircraft, Europe, Jet Charter Operator on May 28, 2015 by Rick Colson. With a marked expansion, Blink Air Taxi Service has acquired Italian operator MyJet and its 3 Citation Mustang jets, along with its maintenance facility in northern Italy. Blink also acquired Blackbushe Airport west of London, which has been its home the past four years. Blink’s increased fleet of 9 Mustangs now is 30% of the European air taxi fleet. According to Blink, the acquisition of MyJet demonstrates that Blink is leading the European air taxi industry in consolidating operations across the key business aviation hubs of London, Paris, Nice, Geneva and now northern Italy, including Milan. It increases Blink’s capacity and will allow even more efficient operations of the market leading air taxi service. Initially, the MyJet aircraft will continue to operate under the existing livery before gradually being brought under the Blink brand. This entry was posted in Operator Updates and tagged Air Charter News, Europe, Jet Charter Operator on May 21, 2015 by Rick Colson. 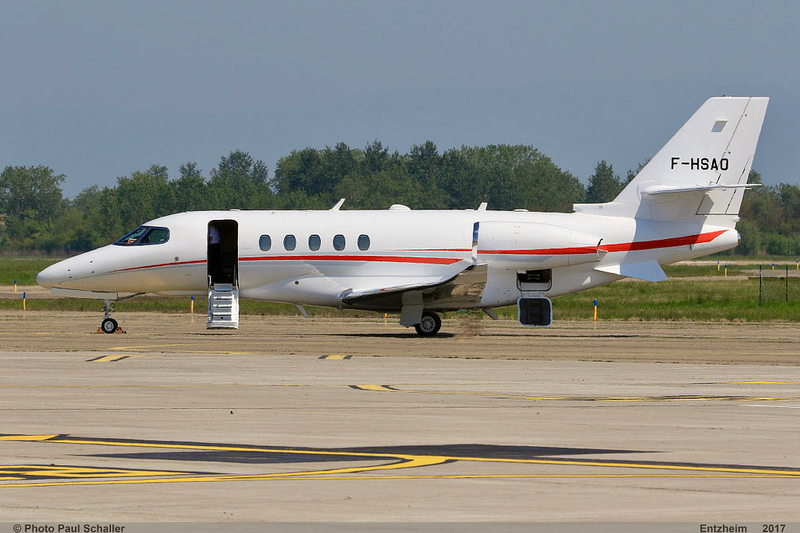 In a deal to create the world’s second-largest corporate aircraft operator, Luxaviation, a business jet charter and management group based in Luxembourg, today is acquiring Zurich-based ExecuJet Aviation. Under the terms of the deal, Luxaviation will acquire the entire share capital of ExecuJet, which has operations in Asia, Australasia, Africa, Latin America, the Middle East and in Europe. Its fleet of about 180 managed aircraft will bring the number of aircraft operated by the combined entity to more than 250. 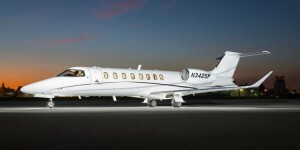 This is second only the the fleet of 700 operated worldwide by US-based NetJets. ExecuJet, operating since 1991, offers aircraft charter, management, and maintenance, and is based at 19 airports around the world. Luxaviation has grown by acquiring four European operators since 2009, including London Executive Aviation (LEA) in 2014. Last week it agreed to a deal with China Minsheng Investments, a Chinese investment fund that is the biggest shareholder in business aircraft operator Minsheng International Jet. Luxaviation’s strategy with its acquisitions has been to preserve their operational independence while benefiting from economies of scale in purchasing high-cost items such as fuel, insurance and training. With the two latest deals, Luxaviation is making strides towards its stated goal of 500 aircraft under management by 2019. – courtesy Financial Times, full article here. Luxaviation and ExecuJet charter fleet details are available in FlightList PRO. 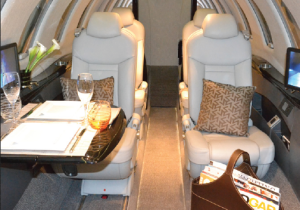 This entry was posted in Operator Updates, Private Aviation Industry News and tagged Air Charter News, Europe, Jet Charter Operator on May 5, 2015 by Rick Colson. 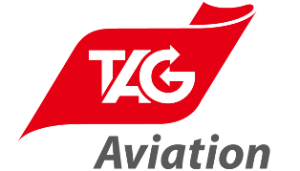 Charter Operator TAG Aviation announces the launch of a new charter alliance between Bromma Business Jet and TAG Aviation. TAG is now the sole sales agent for Bromma’s Falcon 7X based in London Farnborough and Stockholm Bromma, according to the company. Now TAG is the charter operator or agent for four Falcon 7X aircraft throughout Europe. The entire TAG charter fleet of 36 aircraft worldwide is available in FlightList PRO. This entry was posted in Operator Updates, Private Aviation Industry News and tagged Air Charter News, Europe, Jet Charter Operator, UK on April 22, 2015 by FlightList PRO. The newest Learjet 75 is available for charter out of KVNY Van Nuys, CA from operator Clay Lacy Aviation. Added in March, it brings to five the total number of Lear 75’s available for charter in the U.S. Others are based in Texas, Indiana and Tennessee. Two are available in Europe, based in Switzerland and Poland. With deliveries that began in 2014, the Learjet 75 is a midsize jet capable of seating up to 8 passengers in double-club configuration with a rear enclosed lavatory. It is certified for 51,000 feet and leads the midsize category in high-speed cruise, capable of Mach .81. Cabin height is 5’0″, width 5’1″, and length is 19’10”. Up front are the latest in avionics, dominated by the Garmin G5000 three 14″ hi-res displays. The 75’s new sister-aircraft, Learjet 70, with cabin seating for 6 is considered a light jet. Three Learjet 70’s are chartering in the U.S., based in Michigan and Florida. All Learjet 70 and 75 for charter worldwide are available in FlightList PRO. This entry was posted in Operator Updates, Private Aviation Industry News and tagged Charter Aircraft, Europe, Jet Charter, Learjet, United States on April 15, 2015 by FlightList PRO. New 2015 Citation CJ4, LX-GJM, is available for charter operated by Global Jet and based at LFPB Paris-Le Bourget. This brand new aircraft seats 6 passengers and features a state of the art entertainment system. Global Jet operates now 34 jets for charter based across Europe. Global Jet’s entire fleet is available in FlightList PRO. This entry was posted in Operator Updates and tagged Charter Aircraft, Citation, Europe, France, Jet Charter Operator, Paris on March 13, 2015 by FlightList PRO. Membership charter brokerage and mobile platform JetSmarter announced the appointment of Tom Engelhard as European General Manager. 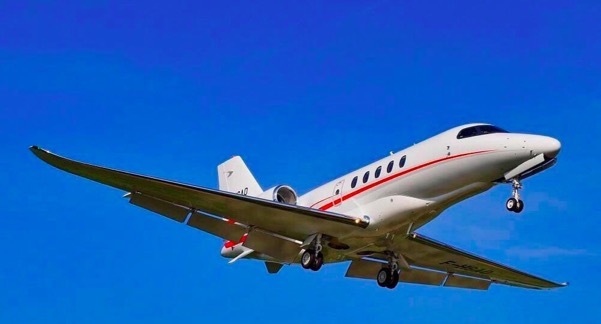 Engerhard will be responsible for operating and overseeing JetSmarter’s new office in Zurich where he will be accountable for furthering the brand’s visibility and operator partnerships across Europe. 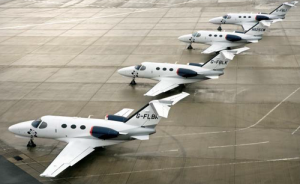 With nearly 25 years of European aviation industry experience, prior to JetSmarter Engelhard led the European Sales sector of private jets for broker Air Partner plc. This entry was posted in Charter Broker Updates, Private Aviation Industry News and tagged Charter Company, Europe, Jet Charter Broker on February 21, 2015 by FlightList PRO. Charter operator Flairjet Ltd. announces three new Europe-based aircraft available for charter. Listed only in FlightList Pro. 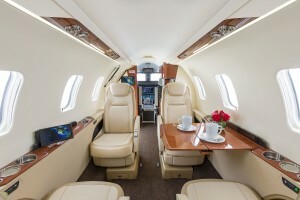 Flair Jet Ltd. add three new aircraft to European charter charter fleet. This entry was posted in Operator Updates and tagged Charter Aircraft, England, Europe, Italy, Jet Charter on February 12, 2015 by FlightList PRO.